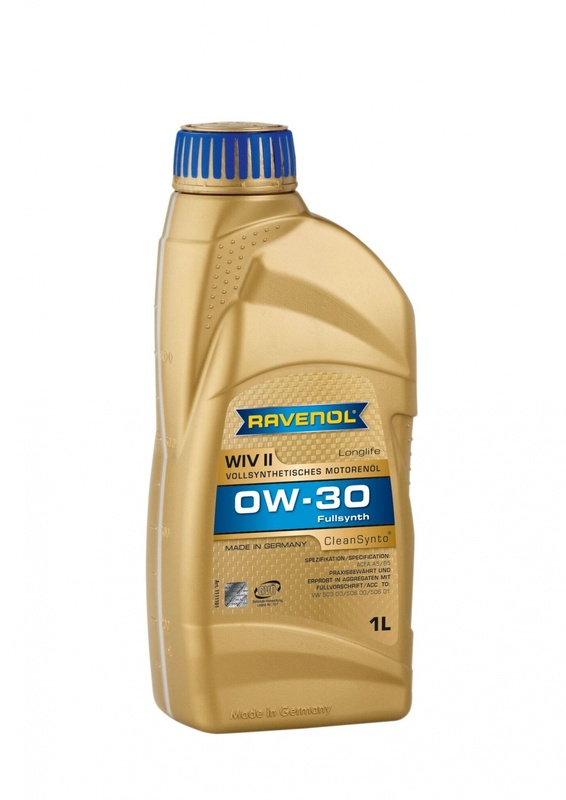 RAVENOL WIV SAE 0W-30 is a fully synthetic fuel-saving high-performance engine oil based on the latest synthesis technology with low HTHS viscosity. Developed specifically to enable significantly longer maintenance intervals for Volkswagen and Audi petrol and diesel engines (from model year 2000 with replacement interval Extension WIV) including pumpe-duse engines. The high oil film stability and excellent viscosity-temperature behavior ensures improved cold starting and a reduction in wear. RAVENOL WIV SAE 0W-30 can be used in all long-life vehicles (except for models that require a product to Volkswagen standard 503 01). Please be aware it is not backward compatible and should not be used in engines of "non-WIV vehicles." It is recommended for Volkswagen and Audi gasoline and diesel engines (model year 2000 with WIV service interval prolongation), including pump-duse engines. A special low-friction character and an excellent temperature range. An excellent engine protection, even after a cold start and under extreme conditions. Guaranteed for maximum wear protection and engine cleanliness combined with reduced fuel consumption. Provides extended oil change interv als due to its exceptional viscosity stability. Supports the protection of the environment through reduced emissions.